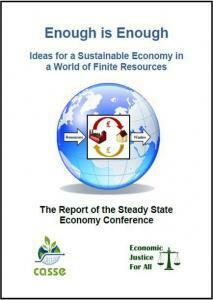 Do you suspect that the idea of perpetual economic growth on a finite planet is folly? Are you searching for ways to solve our profound social and environmental problems? Do you want to know how we can construct an economy that (1) meets our needs without undermining the life-support systems of the planet and (2) achieves sustainable and equitable well-being for all people? Part Three provides a blueprint for moving boldly from ideas to action. Please read the report, discuss the ideas contained in it, and do what you can to help get us on the path to a better economy.